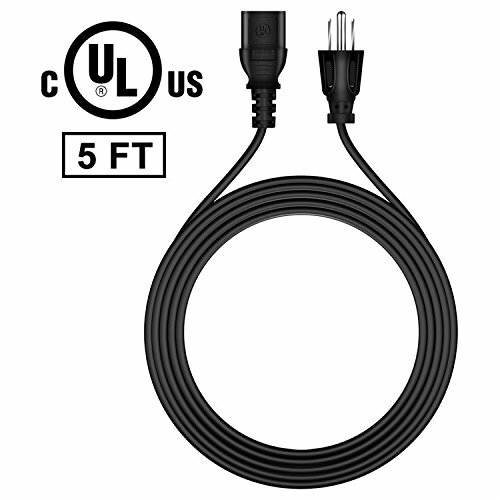 ★BEST QUALITY: This UL listed Cable is Tested BY Manufacture With High Quality,Will not Cause a Fire , Safety USE ! ★COMPATIBILITY: This power cord is a great replacement for game systems, laptops, DVD players, Xbox One S, One X, PS4 and many other devices. ★CONNECTION: This is a 3 Prong Connector for a Standard US Outlet,It Will Work Perfectly with your Device ! Please Double Check the Connector End and Machine Model Before Bid! If you have any questions about this product by FITE ON, contact us by completing and submitting the form below. If you are looking for a specif part number, please include it with your message.